How can I prevent tightening of calf muscles? 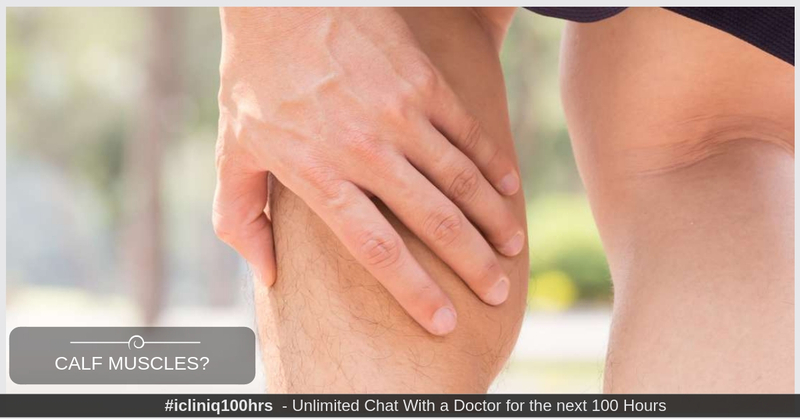 iCliniq › Ask a doctor online › Answers › Internal Medicine › Calf Stretches › Is there any way to avoid tightening of calf muscles? Q. Is there any way to avoid tightening of calf muscles? Answered by Dr. Manel Silva and medically reviewed by iCliniq medical review team. I feel like my calf muscles are gonna pull and I want to prevent it. It does not hurt, but I can feel the tightness. What should I do to stop this? I am scared. • There is no improvement in my back pain. Does it indicate disc problem? • I am unable to sit crossed and straight legs. Can physiotherapy help? • Kindly suggest some exercises to cure friction in kneecap. This sounds like calf tightness, but it may be a few other things that are more concerning. If the tightness is only in one calf, you need to get follow up, especially if you are on birth control or have another risk for blood clots. Depending on your age, you may be at risk for problems with your blood vessels that can cause calf pain when walking. Calf tightness is very common especially in athletes and in women who wear high heels and is usually from overuse of muscles that have not been stretched properly, causing inflammation and tired muscles. For treatment, I suggest starting with a massage to the area, which can include rolling your calves on a foam roller or even a small ball. There are specific trigger points that are particularly helpful in treating the knot in your muscles. Do this for several minutes a few times a day. For treatment and prevention, research a few calf stretching exercises and do those several times a day as well. Another important thing for sore muscles is hydration and electrolyte repletion. If you are doing exercise, remember to stretch for 15 to 20 minutes before and after, and ice your calves after exercise. Finding out if your tightness is more due to inflammation or fatigue can be helpful in guiding a more personalized treatment plan, but would require more questions. Also, it would help figure out if you may also have a strain or even small tears that would need to be treated more carefully. Delayed onset of a muscle disorder, muscle strain. Apart from anti-inflammatory medicine, what should I do for plantar fasciitis? What is the reason for pain following a plantar fascia release surgery? Is using one crutch 75 % or 50 % weight bearing after a hip arthroscopy?